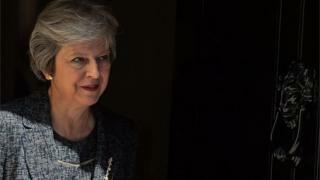 Prime Minister Theresa May is to hold Brexit talks with the Austrian chancellor on Friday before heading off on her summer holida y.
Mrs May will also attend a music festival in Salzburg as a guest of Chancellor Sebastian Kurz. She is holding talks with Mr Kurz and Czech PM Andrej Babis as she seeks to win support for her proposals for the UK's future relationship with the EU. 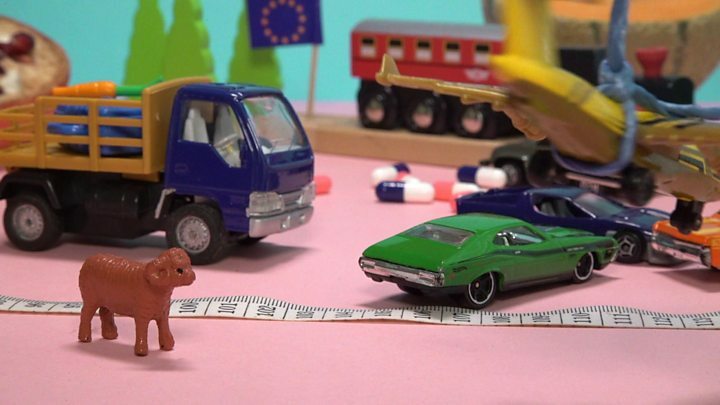 But the EU's chief Brexit negotiator has rejected a key element of her plan. Both the EU and UK say a deal can be done by October - months before the UK is due to leave the European Union in March 2019 - but have also said preparations are being made in case negotiations end in no deal. Mrs May's trip to Austria is one of several being made by British government ministers over the summer to promote her plan, detailed in the Brexit White Paper, to European leaders. Foreign Secretary Jeremy Hunt met his German counterpart in Berlin on Monday and the UK chancell or, home secretary, business secretary and the minister for the Cabinet Office are also meeting counterparts across Europe over the summer. Following talks in Austria, Mrs May will head to Italy with her husband, Philip, for a week before returning to the UK to work. She is also due to attend a World War One memorial event marking the centenary of the battle of Amiens, which began on 8 August 1918, before heading off for two weeks' holiday in Switzerland. The UK's White Paper, drawn up after agreement with the cabinet at Chequers, proposes close ties in some areas, such as the trade in goods, but will end free movement of people and the jurisdiction of the European Court, and allow the UK to strike trade deals with other nations. It would involve the UK collecting some EU tariffs - in a bid to ensure frictionless trade in goods and to avoid a hard border in Northern Ireland - under its proposed Facilitated Customs Arrangement for goods and agri-foods. The plan sparked two UK cabinet resignations - former Brexit Secretary David Davis and former Foreign Secretary Boris Johnson. Media captionHard Brexit. Soft Brexit. No Deal. What does Brexit mean? EU chief negotiator Michel Barnier said on Thursday that the EU "will not delegate the application of its customs policy and rules and VAT and excises duty collection to a non-member who would not be subject to the EU's governance structures". But UK Brexit Secretary Dominic Raab said the White Paper proposals had been designed "both to respect the result of the referendum and the core principles of the EU." He added: "We have considered the innovative approaches the EU has taken in the past with other third countries - when the political will has been there.